This Selene 80 Classic Explorer was specifically designed and built for offshore fishing. 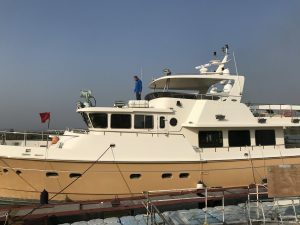 With an extended lower cockpit, large bait tanks, wide side decks, four staterooms accommodating eight passengers with a full-beam owner’s stateroom, and four more in the dedicated crew quarter, she offers professional conditions to a large team of avid fishermen! The yacht is also equipped with a long-range search light, powerful deck lights, and a sophisticated underwater sonar. This Selene 80 is also a powerful passage maker with a twin Cummins engine configuration, two generators, zero-speed Trac stabilization, and hydraulic windlass and thrusters. 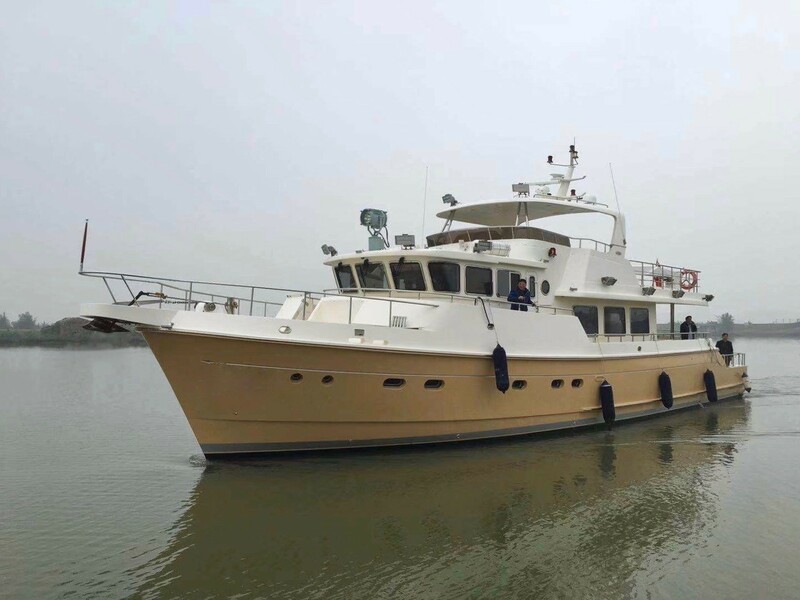 The owner wanted the perfect vessel with braces and belt to explore the oceans, and has spared no expense to meet his initial requirements, and the boat was carefully designed by our Selene engineering teams. In a few weeks, this beautiful Selene will be delivered to her final destination in Asia. We wish the owner safe travels and plenty of catches!